It’s the little touches of hospitality and personality that always get me. I travel quite a bit for business, so I get to see just where a hotel makes an effort to distinguish themselves. 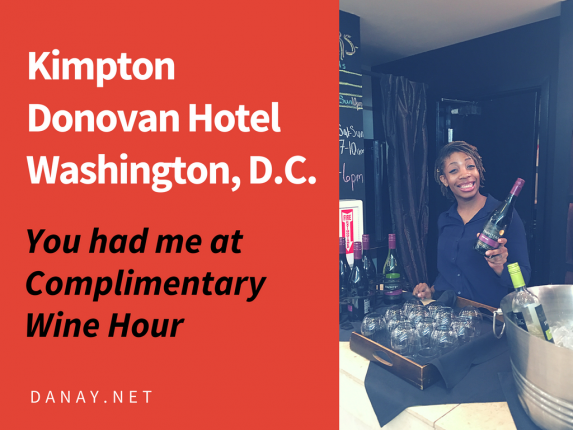 The Kimpton Donovan Hotel in Washington D. C. gets it right with its swanky contemporary style and welcoming vibe.